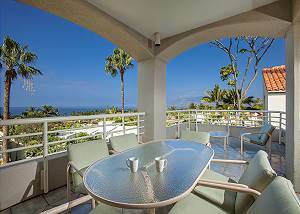 These Wailea vacation rentals are very spacious and tastefully decorated. 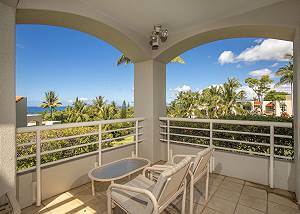 Each vacation condo offers sparkling Pacific Ocean views, dramatic mountain views or lush tropical garden views from a private lanai. 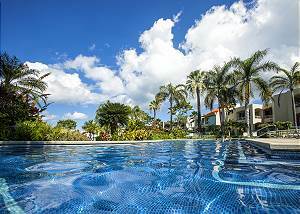 Full kitchens and all the usual amenities are provided (see individual villa units for details). 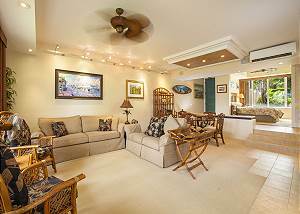 There is so much to enjoy at this luxury Wailea property. 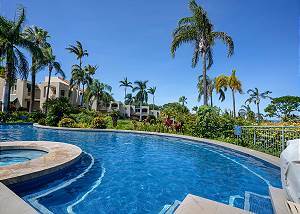 You can relax in the sun as your children happily play in the dazzling swimming pool and enjoy being surrounded by the beautiful landscaping and breathtaking views at this private paradise. 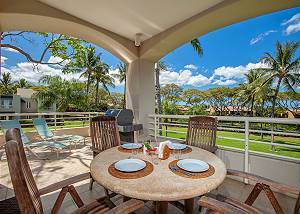 This is one of the few Maui rental properties that provide a private gas grill on the lanai. 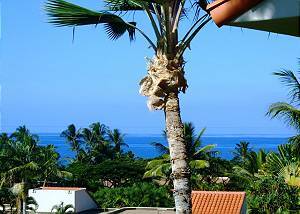 Which means you can enjoy some of the most breathtaking sunsets on the planet as you grill and dine outside. Don't forget to check for shooting stars at night! 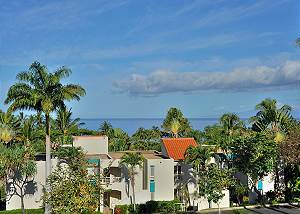 This Wailea condo rental property is conveniently located near beautiful beaches including the magnificent white sand beach of Keawakapu. 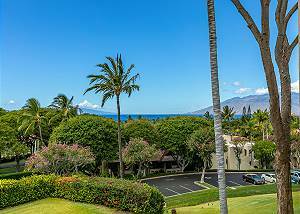 The Wailea Coastal Trail is just a short distance away from the property where you can enjoy the many amenities provided by vendors along the beach such as stand-up paddle board rentals, kayak and canoe tours, as well as snorkel equipment rentals. 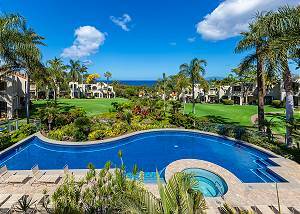 You'll also find luxury shopping at the Shops at Wailea, championship golf courses and world-class tennis center nearby. 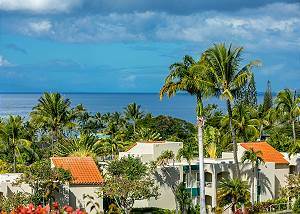 Satisfy your culinary wanderlust with world class dining at renowned restaurants Ko at the Fairmont Kea Lani, Duo Steak and Seafood at the Four seasons, and Tommy Bahamas at the Shops at Wailea which are all close by to these Wailea accommodations. 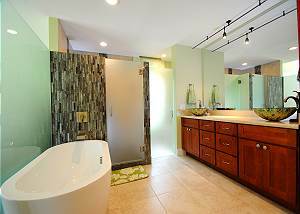 Pamper yourself at nearby luxurious spas including the Spa Grande at the Grand Wailea, and the 'Awili Spa at the Andaz. 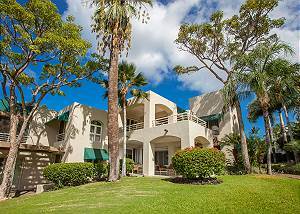 This property has something for every type of vacationer, whether it be the family or single traveler. 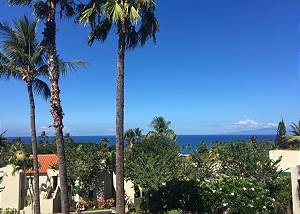 The nightlife of Kihei is less than a ten-minute drive, the beach is a walk away for those who want to get out and see our amazing marine life here in Hawaii, and a myriad of activities are accessible within a short drive. 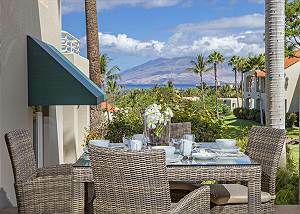 Get ready to make some amazing life-long memories on your Maui vacation when you choose The Palms at Wailea!